All four books of the Typhon Pact series are now available. Since my last updates there are now excerpts up for the last three books in the series on Simon and Schuster's website: Seize the Fire, Rough Beasts of Empire, and Paths of Disharmony. You can also find and excerpt from the latest Myriad Universes book, Infinity's Prism, which was released at the end of last year. The next book in the series, out in April, now has a title: The Gemini Agent, and has apparently been pushed back from April to June release date, if the listing on Simon and Schuster's website is accurate. Correspondingly the listing on Simon and Schuster's online catalogue for the as yet untitled fourth book in the series notes a September publication date, moved from the initial May listing. Bennett also talks a bit about his work on the novel on his blog; have a read. In the aftermath of Destiny, the third novel in the Voyager series that takes original characters—and all new ones—into the Star Trek universe. 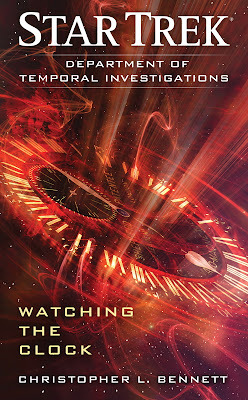 Three Federation starships—the Quirinal, Planck and Demeter —have mysteriously vanished, and a contingency plan is developed for the crew to search for the missing ships. 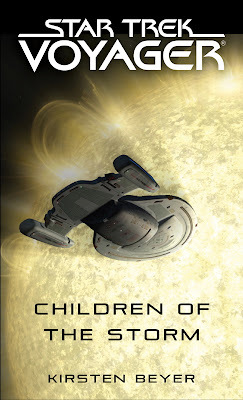 An unknown alien race who call themselves the Children of the Storm is at fault, announcing to the Federation that they do not negotiate with destroyers of worlds—and it is not the Borg being referenced, but the Federation itself! In this fifth Vanguard novel, the stakes are raised for all those embroiled in the mystery of the Taurus Reach. Four great Alpha Quadrant superpowers—the Federation, the Klingon Empire, the Tholian Assembly, and the Romulan Star Empire—have all taken tremendous risks in their race to learn and control the ancient technologies of the interstellar hegemons known as the Shedai. 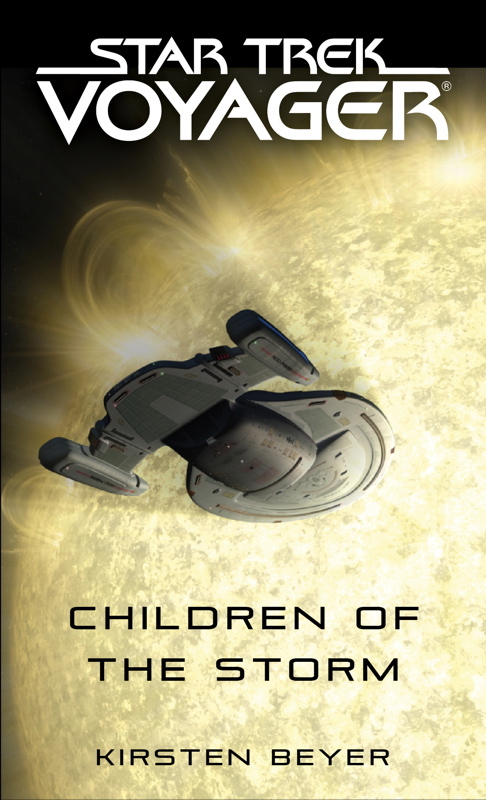 Go back into prehistory and see the reign of the Shedai as it really was; follow journalist Tim Pennington as he investigates the most bizarre story of his career; see how the Cold War of the original Star Trek era plays out between two groups of colonists; and get a glimpse of the lighter side of life aboard Starbase 47…. 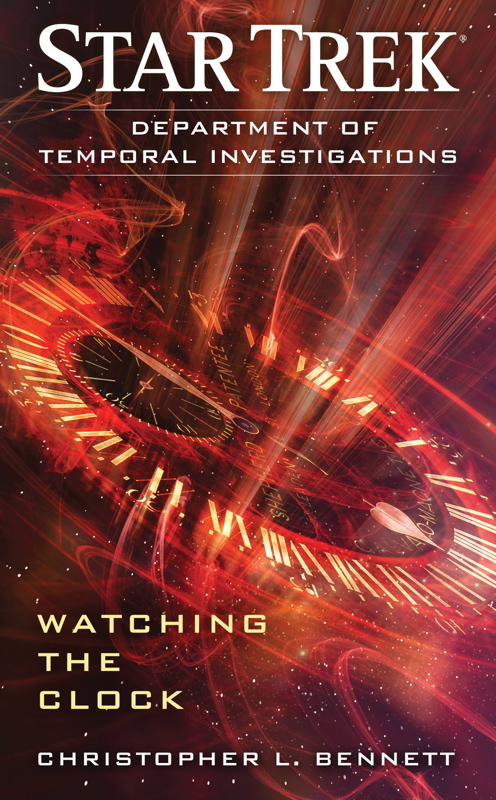 This cover has been confirmed as not final, owing to being too similar to previous covers in the series according to the author Dayton Ward. 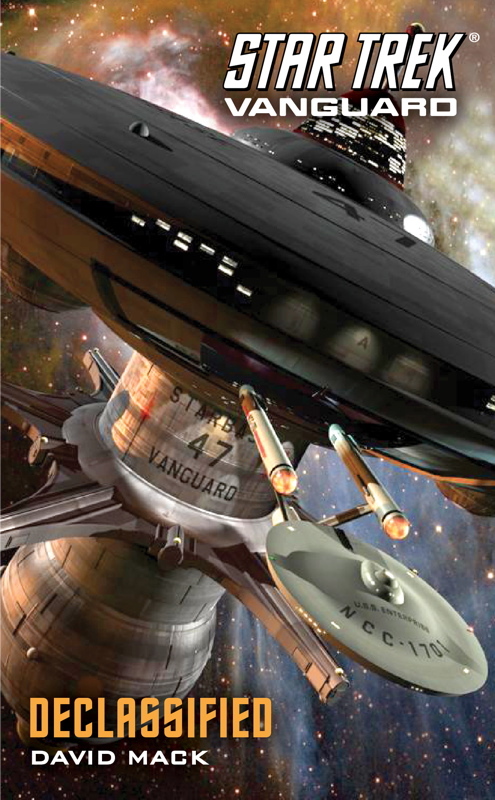 You can see a larger version of the unused cover art on the artist, Doug Drexler's, blog. 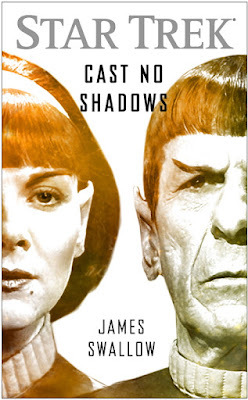 An all-new novel based on Star Trek: The Original Series—one of the most popular television series of all time! It is mid-2268. 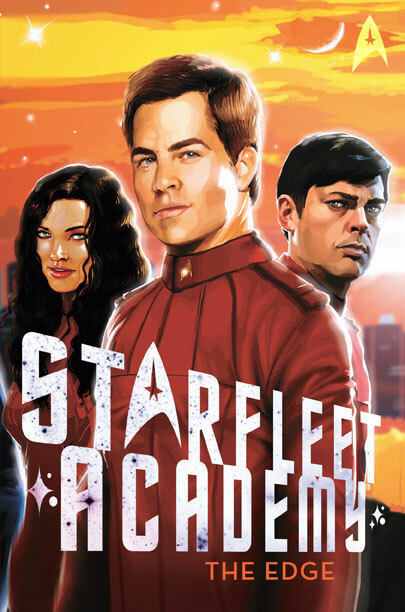 The Enterprise, under the command of Lieutenant Hikaru Sulu, is returning from a mission to deliver medical supplies to one of Starfleet’s most distant installations. All is routine until the Enterprise comes within a light-year of the planet Mu Arigulon; the ship is suddenly thrown from warp and suffers a momentary power cut. 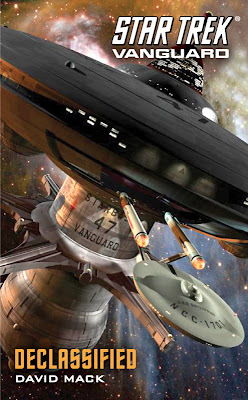 There’s only one injury—a minor one, and the Enterprise is again underway. Before the ship can reach full speed, it hits another distortion, this one much worse. There are a few more physical injuries, but what’s more worrying is an officer that’s entered into a coma…for no apparent reason. While McCoy has to find a way to save the lives of a handful of people that have inexplicably fallen into a coma as well as the lives of everybody aboard the Enterprise when the ship is threatened by a destructive space phenomenon, Kirk et al. are exploring a mysterious planet that seems abandoned by the civilisation it was once inhabited by. What they discover is a terrible crime in progress, and they will need all their skills to put a stop to it and capture the perpetrators before they escape. ...the death of an obscure young computer scientist called Surak who died in a surprise terrorist attack. Consequently, his place in history is empty, but it is soon occupied by somebody else who will be familiar to readers of certain Vulcan-related novels. The result is that the planet is embroiled in a millennia-long period of clan warfare, preventing its people from shaping and affecting interstellar affairs as they did in the ‘original’ universe. The lack of Vulcans to vie with the Andorians causes a lot of changes in ‘Federation’ history, and the lack of Romulans to vie with the Klingons certainly has some major repercussions too! The authors talk extensively about these two stories and their previous Trek offerings in the Unreality SF interview. 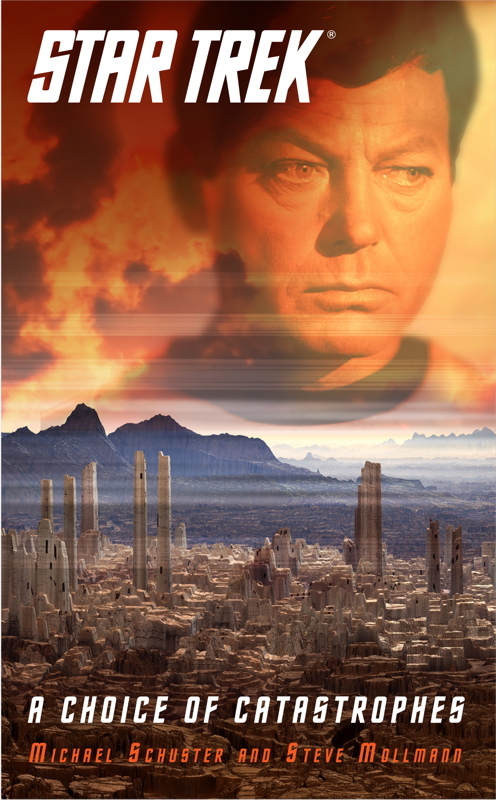 The year is 2300, and seven years have passed since the events of the film Star Trek VI: The Undiscovered Country. A space station orbiting the Klingon colony Da'Kel is being used as a staging area to undo the disastrous fallout from the destruction of Praxis. With the help of aid supplies from the United Federation of Planets, reconstruction is in progress–but the peace process begun by the Khitomer Accords is still fragile. Unknown to either the Federation or Klingon representatives warily watching one another over Da'Kel's skies, a third group is plotting. Unnoticed by security, a civilian transport ship with a skeleton crew docks at the station. The ship transmits an ancient Klingon proverb–"Traitors cast no shadow"–before destroying itself in a massive blast of subspace energy that obliterates the space station. The novel has also been moved forward, from October to August.